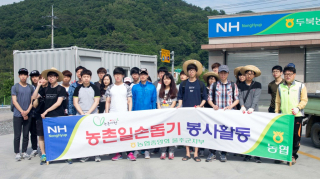 UNIST had established a relationship with GongChon village in 2017 in an effort to contribute to the local communities. As part of this year’s rural community outreach project, UNIST is recruiting volunteers to lend a helping hand to rural farmers during their busy season. Volunteers will be involved in rice-planting activity. For those interested, please come along and support your local community. Registrations are on a first-come first-served basis, so please register by Friday, May 4, 2018. You may click HERE to register. For more detailed information, please contact the General Affairs Team (1166).